Here's a pretty good list of "superfoods" for bodybuilding. Hey, where's chicken and tuna? It's pretty rare that those two don't make these types of lists. The problem I have with these types of lists is that some people tend to take them to mean that if they just eat these foods, they can expect good sized gains. I'll get emails from people confused as to why they aren't growing even though they eat an egg every morning and a tuna sandwich for lunch. Always remember, it isn't just the quality of foods you put into your body, it is also the QUANTITY. To support muscle growth, you have to create a caloric surplus -- you have to give the body the raw materials it needs to build muscle above and beyond what it needs to keep you functioning. If you aren't gaining, you aren't eating enough to gain. What and how much to eat to build muscle and gain weight? It is when you eat a quality balanced diet (that includes solid choices like the muscle building superfoods above) and eat that diet in sufficient quantity to supply the body with surplus calories that you really have something. When you consistently do that and add in a solid weight training program, you build muscle and grow like a weed. The National Geographic Channel is running a good program titled the "Science Of Steroids." Its an interesting hour for everyone, whether or not you use steroids or have any thoughts about using them. One of the "experts" talked about how using steroids was one of the last things anyone would admit to - they'll admit to spousal abuse, cocaine use and everything else but not steroids. He compared it to pedophilia in terms of the lengths people will got to in order to hide it. The program did a good job of addressing the lack of studies on steroids. 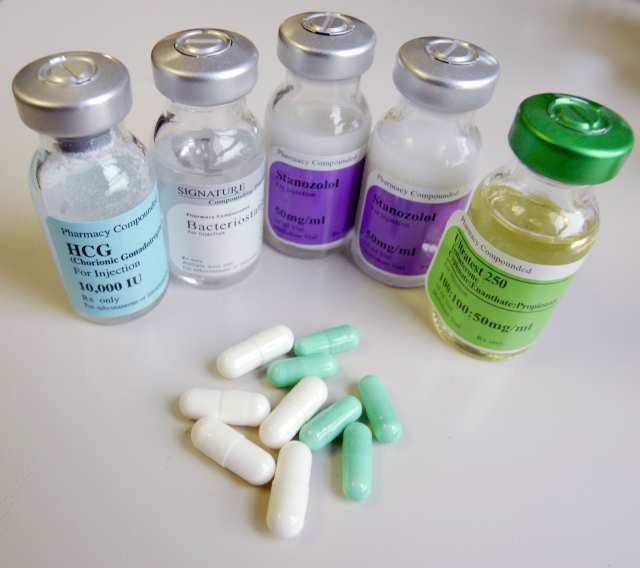 A lot of users are very convinced that there aren't any dangers in using steroids. At my site, I have limited coverage of anabolic steroids. While I'm not pro-steroids (and I don't, never have, and never will use), I'm not hysterically anti-steroids like a lot of the mainstream coverage tends to be (the "you're going to die horribly and immediately" type of coverage). I try to present a fair look at the potential side effects of steroids. But, every few months or so, I get an email from some guy telling me that I'm wrong, that there are no studies that say that steroid use will lead to cardiovascular problems or whatever. They basically tell me that steroid use is akin to chewing gum, that there are no real risks. They are right, there are very few studies on side effects. The reasons as explained in the show are the fact that you really can't load humans up on 'roids and wait 20 years to see what happens. Couple that with the fact that users won't admit that they use and you get very limited data to draw from. BUT, if you look at the case studies, if you look at the early deaths and medical problems for so many pro wrestlers and bodybuilders, you pretty much have to be blind to not see that these are very dangerous drugs and can have some consequences. Those that walk around miffed that anyone would suggest that there are any dangers to steroid use do have their reasons to distrust the medical community's warnings. The medical community has totally botched the whole steroids issue from day one and continues to do so. As pointed out in the show, you'll still find medical authorities stating that anabolic steroid use has no effect on muscle building or enhancing athletic performance???? That's probably even more absurd than denying there are risks associated with use. You shouldn't need definitive studies to be able to make an obvious observation. The fastest growing group of steroid users? Its not athletes, its regular people just looking to use them to improve their appearance. Personally, I understand the temptation to use for competitive athletes. Had I been real close to breaking into the major leaugues, I would have felt the temptation (Unfortunately, I was never close). I don't understand why someone would use just to improve their physique? I just don't get it. I think a good percentage of those who do choose to use for these reasons really aren't appropriately educated on the subject. And that makes steroids even more dangerous. you have to do the exercise slowly,whenever you want (mass and cuts). you must hav to exercise slowly and if you didn't see the results and you remains flabby after 2 months of doing it, try doing it even slower. How much you slow as it much effective for you.The much slower,the much better but you concentrate at the peak. let Suppose you are doing biceps exercise with a bar. When you bring the bar(your forearms completely, touch your upper arms (biceps)) to your chest, Make sure you concentrate there and really focus on contracting the muscle (just like when you do posing). Apply The same rule for any muscle. If you want a muscle to develop properly with both mass and cuts (unless you already have cuts), you have to do it real slow and focus on concentration. Buy the book Modern Encyclopedia of Bodybuilding .....its really help you. Before another tip about muscle mass, Just know what’s your height? If you are betweem or below 5 feet 8 inches, then you should have 15 inch arms at least, so concentrate on both mass and cuts. That’s the difficult thing but that makes it all more beautiful. .Try to do more push ups and do a cardio such run a few kilometers ( a minimum of 1 to 1.5 km as a warm up prefferably) everyday. you hav do 5 sets of flat press, 3 sets of incline, 3 sets decline, and 3 sets of dumbbell flys. Another tips on bodybuilding diet, it is also very important factor so you need to have protein‑rich diet and cut down on carbohydrates and feel or see the change. (A low-carb diet will always help). Don’t increase your carbohydrate intake as found in rice, Bread....etc. Keep your carbohydrates low. Keep your protein intake high, like chicken, egg, fish, etc. You will see the change soon almost within a month. tak high amount of water. The main sources for you are both pulses and legumes including beans of all varieties,If you are a veggie, preferably soya, butter beans, or double beans. If you are going to burn fat with bodybuilding and weights, you can use the ordinary flat bench press to burn fat too.you have to do this with low weights but remember do it really slow. The first few reps up to 8 or 10 will be easy and after that your chest muscles will begin to burn like they are on fire. Do 5 sets of this everyday after your pushups and also do jog. Do all exercises the same day. Doing them on alternate days will only increase size by giving rest to your chest mass. If you want to burn fat around chest, then you have to exhaust your muscle. Do and Gud luck..! If you know someone who's recently been diagnosed with heart disease or had heart surgery, the doctor probably told him that exercise is an important part of keeping the condition under control. Medication changes. New medications can greatly affect your response to exercise; your loved one's doctor can tell you if his normal exercise routine is still safe. Heavy lifting. Make sure that lifting or pushing heavy objects and chores such as raking, shoveling, mowing, or scrubbing aren't off limits. Chores around the house can be tiring for some people; make sure your loved one only does what he's able to do without getting tired. Safe exercises. Get the doctor's approval before you let the patient lift weights, use a weight machine, jog, or swim. Swimming is an aerobic exercise for heart patients. It’s very useful, and it can produce excellent results in a short period of time, particularly if you are not accustomed to body to building. Swimming should be done approximately 30 to 60 minutes daily for avoiding heart diseases. Walking is one of the simplest and most available aerobic exercises. Heart patient can vary the intensity to match his fitness level. Other than walking shoes, it does not require any special equipment. Walking is a good choice for starting their first exercise program. The older age heart patients can adopt this exercising routine as it is the best choice for them. 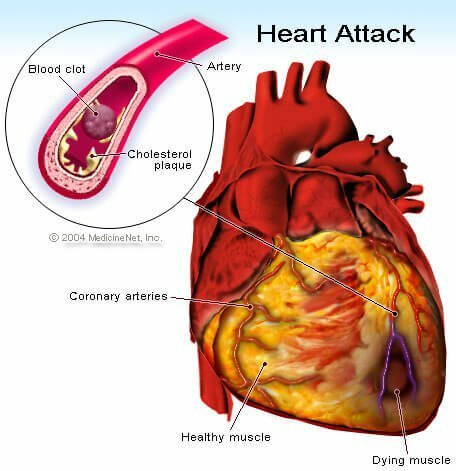 Cycling is another best exercise for avoiding heart diseases. Cycling is unique type of aerobic exercise with wide appeal and value. In this exercise you can use a stationary or regular bike. A program that combines walking and cycling may provide cardiovascular benefits without inducing the limiting pain as quickly. Cycling helps the heart without the mechanical stress on the back, hips, knees and ankles that walking can cause. Therefore, those with heart conditions should address a program with their physician before starting. Water aerobics and water walking are good alternatives for those with heart diseases. This exercise also gives attractive results in joint pain problems. Stretching is another beast exercise for heart diseases. Stretching the arms and legs before and after exercising helps prepare the muscles for activity and helps prevent injury and muscle strain. Regular stretching also increases your range of motion and flexibility for aerobic exercises. Be sure any exercise is paced and balanced with rest. Don't let the patient exercise outdoors when it is too cold, hot, or humid. High humidity may cause you to tire more quickly; extreme temperatures can interfere with circulation, make breathing difficult, and cause chest pain. Better choices are indoor activities such as mall walking. Make sure that one stays hydrated. It is important to drink water even before you feel thirsty, especially on hot days. Have your loved one steer clear of exercise in hilly areas. If he must walk in steep areas, ask him to slow down when going uphill to avoid working too hard. Have him monitor his heart rate closely. If the patient's exercise program has been interrupted for a few days (for example, due to illness, vacation, or bad weather), ease him back into his routine. He should start with a reduced level of activity and gradually increase it until he's back where he started.